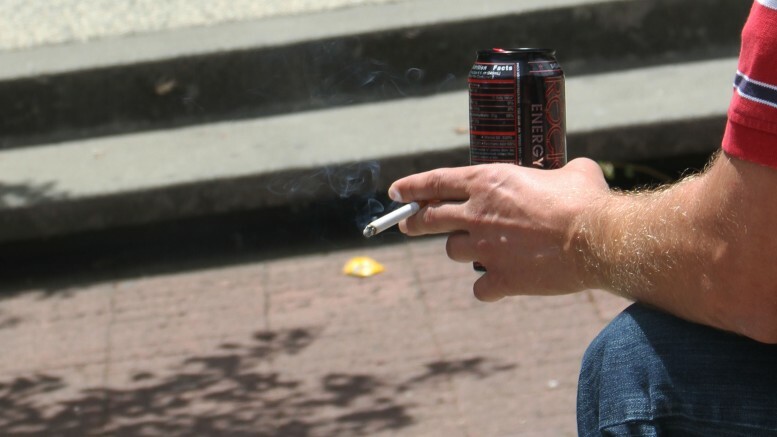 Tobacco use on the American River College campus is scheduled to become prohibited starting next January. American River College is scheduled to become tobacco free on Jan. 1, 2016, the first campus to do so among the Los Rios colleges. Greene said that he and his leadership team discussed three possible options for the future of tobacco on campus: maintaining the current rule, which prohibits smoking indoors and within 30 feet of a building’s entrance, creating designated smoking areas or banning smoking entirely. Greene cited a recent vote by the California State Senate to raise the age for purchasing tobacco from 18 to 21 as an example of where society is headed relative to smoking. Greene also said that it is important the school prepare students for workplaces and colleges that will be tobacco free. The tobacco ban includes not only cigarettes but also chewing tobacco and “unregulated nicotine products” such as e-cigarettes and vaporizers. The parking structure and lots will similarly be tobacco free. The Jan. 1 implementation date may be delayed if proper preparations are not in place, said Greene. ARC Public Relations Officer Scott Crow said there is a lot the school has to do to prepare for the change. Nevertheless, Crow said that support groups are speaking with the school regarding smoking cessation resources on campus. Laurie Jones is a member of the Building, Grounds and Safety Committee that began having discussions regarding smoking and tobacco use during last spring’s semester. Jones said she is pleased with Greene’s decision. 2 Comments on "Tobacco use to be banned at ARC beginning in 2016"
I don’t think this is a very fair situation. There is a huge population of smokers who go to ARC. What they don’t take into account is that the people the second hand smoke is bothering are walking near all the smokers. Granted I get that you don’t want it on campus, but forcing those of us who smoke to now have to go off campus for a cigarette is not fair. As it is we congragate mainly in the quad near Davies hall and have been more than the requested 30 feet from doorways. The least you could do would b to accommodate those of us who do smoke and give us a place on campus to go that is agreeable to all parties. Forcing us off campus to make a few peoples sense of entitlement worth it is not fair to everyone else! How totalitarian, how presumptuous of the system to hack into our rights and personal lives! This must stop, the establishment must never alter our existences for so trivial a reason! “Second-hand” smoke! Breathing in second-hand smoke is no more lethal than breathing deleted ACT scores! Now! We must act now!